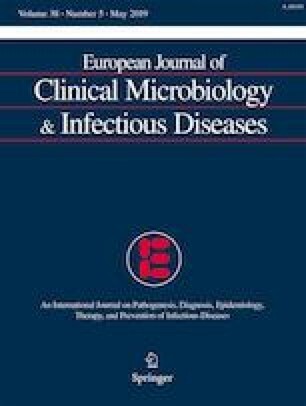 Does prolonged blood culture incubation improve microbiological diagnosis of HACEK and slow-growing bacteria infective endocarditis? We were very interested with the publication by Lindell et al. and the letter by Fida et al. describing cases of infective endocarditis due to Cutibacterium acnes especially on prosthetic valves [1, 2]. C. acnes are large described anaerobic bacteria part of cutaneous flora and involved in deep infections. Many studies report cases of bone and joint infections, meningitis, infective endocarditis (IE), or endovascular infections [3, 4]. It is well known that prolonged cultures are necessary to detect C. acnes, because they are slow-growing bacteria detected after several days especially on cultures under anaerobic atmosphere. IE is a disease characterized by a high rate of morbidity and mortality. The in-hospital mortality rate is up to 20%, with a one-year mortality ranging between 25 and 40%. According to French and European guidelines, prolonged cultures of blood cultures are recommended in case of suspicion of IE.